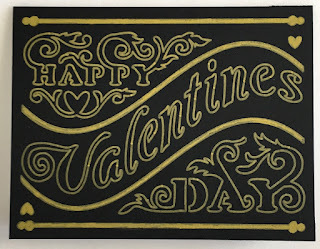 My Creative Life: Happy Valentine's Day! Well, it's almost Valentine's Day. I just had two valentines to make this year. I thought you might like to see them. This one is for my 86 year old mother. 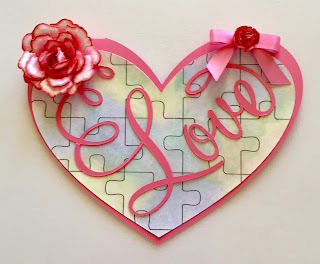 She likes all things pink and she also likes jigsaw puzzles. I designed the card in Cricut Design Space software and cut it on my Cricut Explore. The beautiful rose and rosebud were made from my Heartfelt Creations stamps and dies. It was hard to part with that rose because it is my favorite. Actually, they are all my favorites, but I especially liked this one. The card below is for my husband John. It was a design available in Cricut Design Space. 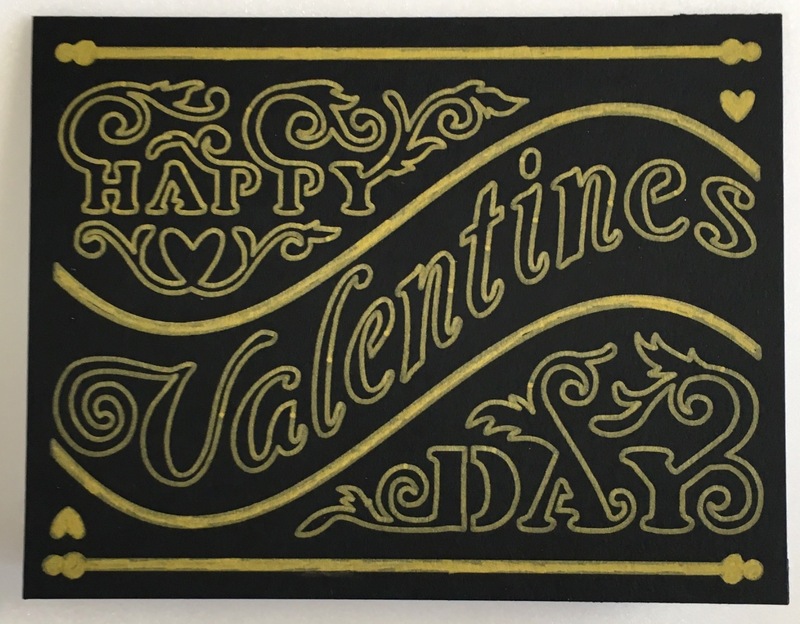 I changed it from a cut file to a write file, so the Cricut drew the design on the black cardstock with a gold pen. I really like how it came out. The glimmer, shimmer and shine on my cards do not come through as beautiful in pictures as they appear in my hand. I have discovered most people like to receive a handmade card.